First generation single sign-on solutions were introduced in the early 2000s, and the initial concept was brilliant. Microsoft Active Directory® had became the identity management solution of choice for the on-prem IT infrastructure. However, web applications were just starting to emerge, and a bridge to connect AD credentials to web applications was necessary. These SSO solutions evolved to be delivered from the cloud and to support thousands of web applications. 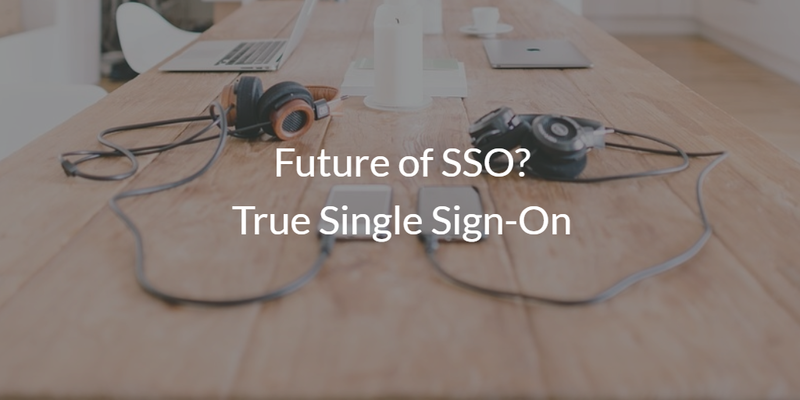 As we enter a new era of IT thought, we begin to wonder: what is the future of SSO – is it True Single Sign-On™ by Directory-as-a-Service®? Once IT admins started to think about controlling access to their users’ web applications, a whole market of web application SSO providers quickly followed suit. These vendors knew that AD was entrenched in the enterprise but didn’t connect to web apps. That provided an opportunity for SSO providers to bridge the gap between AD and web applications. Over time, this type of solution was delivered as a service called Identity-as-a-Service (IDaaS). It was a clever term. But it wasn’t truly a central identity everywhere, because it was just SSO to web applications. Still, IDaaS stuck. In fact, the Identity-as-a-Service moniker may have given rise to a new term that is being used more broadly, cloud identity management. At this point in time, the identity management infrastructure was AD and SSO. That worked well for a while, but then seismic changes started to take hold in the IT world. There was a massive shift from on-prem IT resources to the cloud. Data centers shifted to providers like AWS and Google Cloud. Even workers started to become more mobile, with the capability to work from anywhere in the world. However, the most interesting part of this trend was seeing workers start to shift away from Windows platforms to leverage Mac and Linux devices. This shift has become so common for workers that only 1 in 5 devices in enterprise is a Windows now (Forbes). A massive difference from what we saw in the early 2000s. This shift in devices created two main issues. One was that Active Directory was becoming less and less valuable to IT organizations, and the second was that traditional SSO solutions didn’t have a core directory service to authenticate with. The solution to these challenges revolved around a shift to cloud identity management. By shifting to a modern IDaaS platform, IT admins could unify an end user’s access to IT resources into one identity provider. Additionally, this approach enabled the True Single Sign-On function, which grants the ability to login to virtually any IT resource including systems, applications, and networks with one set of credentials. Many IT organizations have longed for this feature for a long time, but the diversification of platforms has inhibited this process in the past. Fortunately, the new generation of Identity-as-a-Service solutions called Directory-as-a-Service is implementing these True Single Sign-On capabilities. 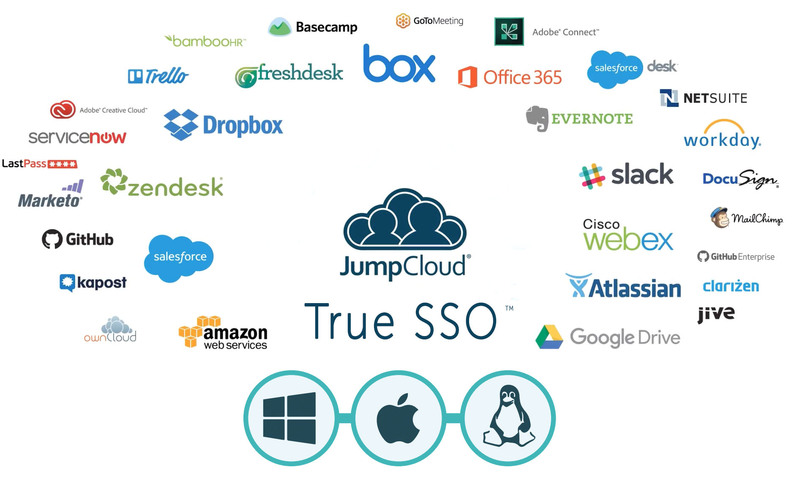 With JumpCloud’s True SSO, a user identity can access their laptop or desktop (Windows, Linux, Mac), cloud or on-prem servers (hosted at AWS, Google Cloud, or on-prem), web or on-prem applications via SAML or LDAP authentication, and wired or WiFi network access via a cloud RADIUS implementation. One identity to rule them all™. If you would like more information on the future of SSO, drop us a note. We’d be happy to walk you through whether True Single Sign-On is right for you or not. Alternatively, sign-up for a free modern IDaaS account and check out the unified identity provider for yourself. Your first 10 users are free forever.